Just a few days to go and a new President of the Philippines will be elected after the May 9 National Elections votes has been counted. Aside from the Presidency, a new Vice President will also be elected together with some new and old government officials in the higher and lower positions. While the elections is nearing the argument and the accusation or mudslinging in the highest position in the country is also heated. Presidential candidate Mayor Rodrigo Duterte of Davao City, is the eye of mudslinging as the election is nearing. The latest accusation for Mayor Duterte is the alleged bank account in Bank of the Philippines (BPI). 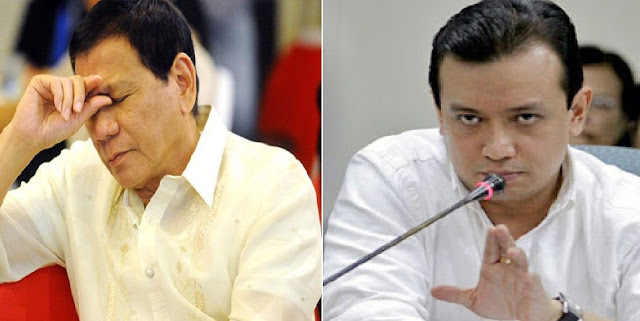 Vice Presidential candidate Sen. Antonio Trillanes IV, accused the mayor of having P211 million in its nine accounts at the Bank of the Philippine Islands (BPI) branch Julia Vargas in Pasig City. Which is not declared in his Statement of Assets, Liabilities and Net worth (SALN). In sum, Trillanes believe that the Mayor has a total money of P2.5 billion in three banks, in addition to 41 properties in various parts of the country. Triallanes, also believe and challenged the Mayor, to file a libel case against him? But the Mayor won’t do it because if he files a case, then the bank accounts is now will be e¬xempted from the Bank Secrecy Law. Also, Presidential candidate and administration bet Mar Roxas challenged Mayor Duterte to sign a real waiver that would allow public disclosure of the Mayor’s bank records. Meanwhile, Mayor Duterte, deny all the accusation for having millions of money in BPI bank. He only agreed that he has a BPI bank account which is only worth of P27,000.00. The politics in the Philippines is a simple tactics of giving alleged Corruption and allegations against their opponents. It’s an obvious desperate move of every candidates just to win in their position that they are running for? No Comment to " Sen. Trillanes Challenged Mayor Duterte to file libel against Him "